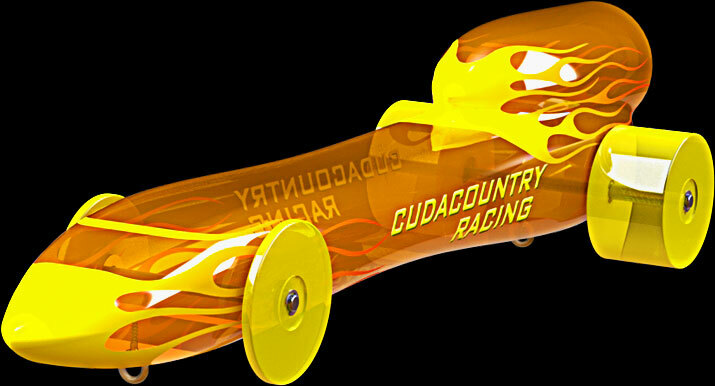 Welcome to cudacountry's SOLIDWORKS 2019 and Mastercam 2020 CO2 Rail Car E Tutorials. E is for EASY! 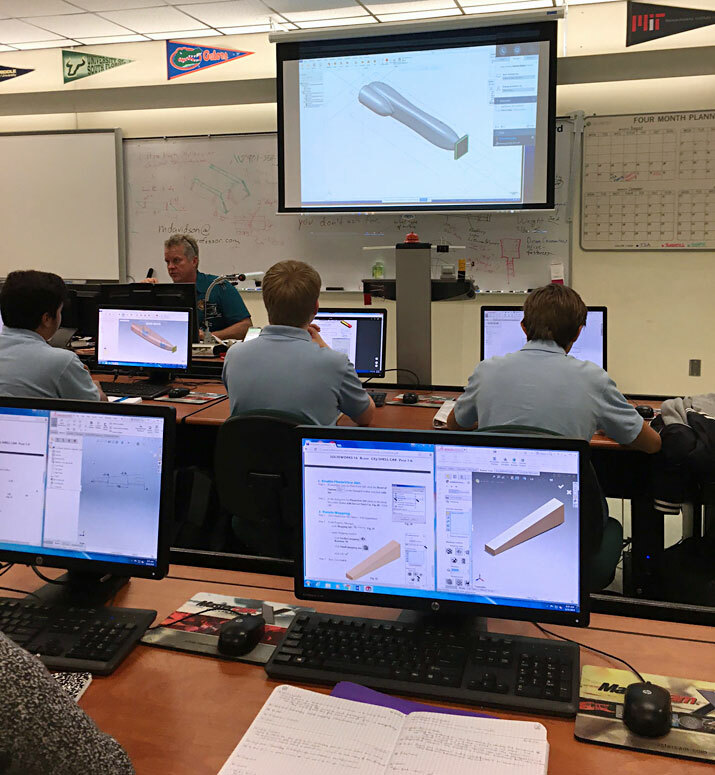 We use SOLIDWORKS 2019 to design our cars and Mastercam 2020 to create CNC toolpaths to cut the car body. The following tutorials with the PDF icon are available for download. Download the free reader from Adobe. Part 1. Blank. Now includes cylindrical and center plane Mate References. This tutorial is the same as Rail Car and Shell Car blank. Drawing 9. Drawing. 11” by 17” paper. Part 10. Eye Screw with Mates. This tutorial uses the Thread Wizard to create threads. Part 11. Cartridge with Mates. 360 12. Decals for Body. Click here to try decals. 360 13. Camera and Rendering. Create camera and render using PhotoView 360. 14. Analyze in Wind Tunnel. 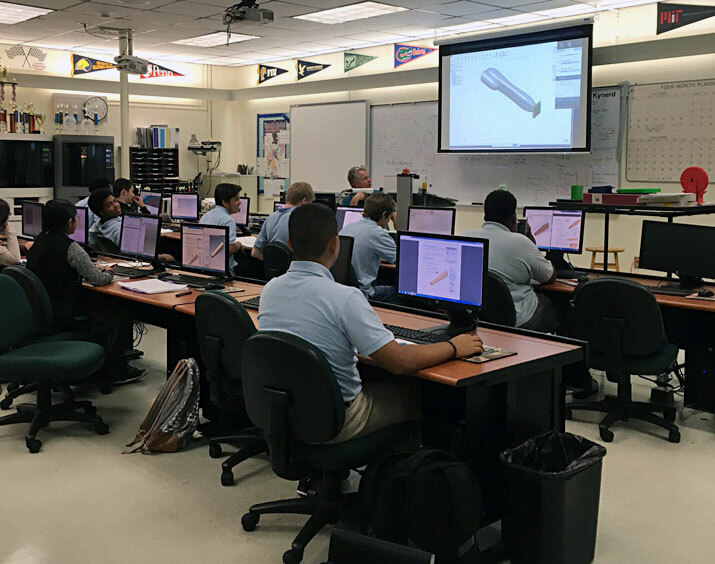 Analyze assembly design using Flow Simulation. 2020 15. SW2019 to Mastercam 2020. Open your SW body file in Mastercam 2020. In Mastercam the solid car body is rotated into the correct Mastercam XY axis and moved to Mastercam origin. Then create check solid to keep tool away from fixture. Finish off with creating WCS plane. Units are metric. This tutorial also works with Mastercam 2019. 2020 16. Car body toolpaths for Mastercam 2020. Units are all metric. Toolpaths to cut rail E car body from balsa blank: 1) Cut body left side using finish Equal Scallop toolpath. 3) Mirror left cut to right side cut. This tutorial also works with Mastercam 2019. Here are 2016, 2012 and 2011 tutorials. Thanks to Mr. Baker for providing photo of new CO2 Rail Car.